Articles Of In-Corporation at Stoa Tou Vivliou, Athens, 2017. Photo by Yiannis Hadjiaslanis. 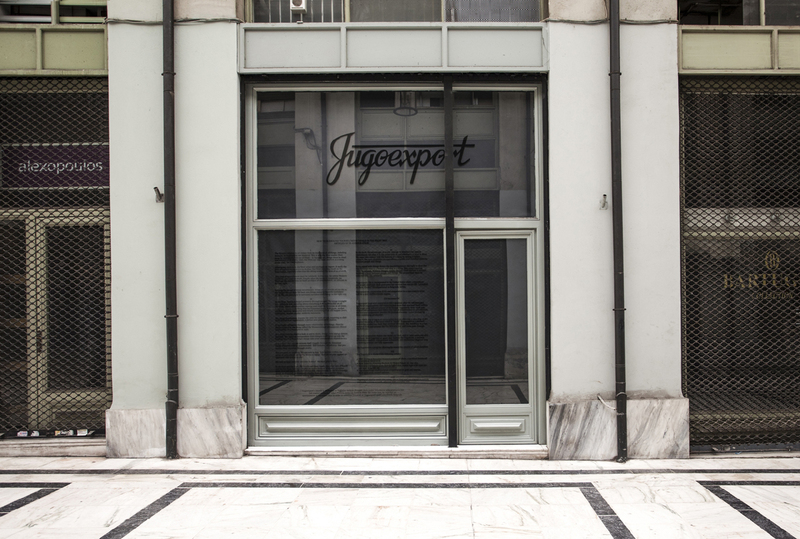 One storefront within the Stoa tou Vivliou book arcade hosts the incorporation documents of Yugoexport, a “blind non-aligned oral corporation”. Incorporated in the United States (where corporations are people), launched in Paris and headquartered in Belgrade, her process of incorporation continues. The in-corporation documents in Athens act as the original file. Their copies appeared at documenta 14 in Kassel and on Terazije square in Belgrade in 2017. The storefront in the book arcade is a legal document in the classical Athenian tradition, where all official tributes and laws were inscribed in papyrus and then filed in the Agora. These papyri were then copied onto marble stele and placed in public squares for oration by designated readers for the Athenian public. Seductive Exacting Realism, Waiting Room, detail. Neue Neue Galerie, Kassel, 2017. Photo by Anna Shteynshleyger. 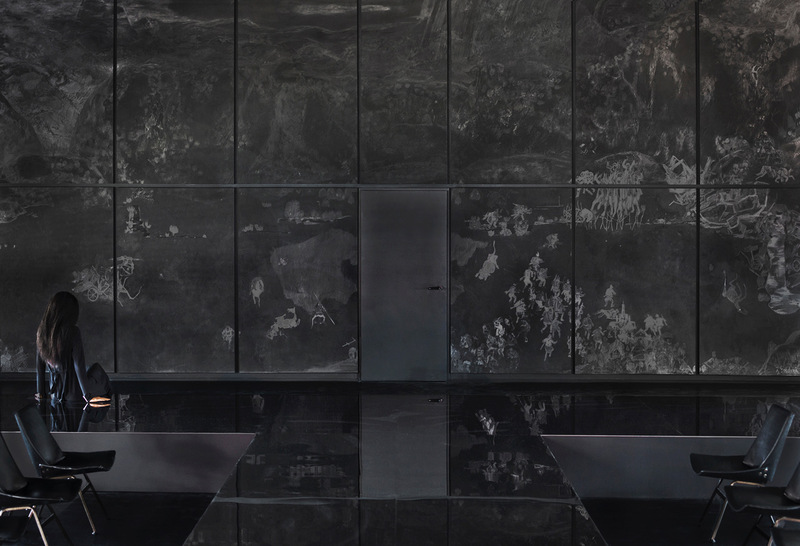 Yugoexport installs a Transactional Area, a Waiting Room, and a Blind Room of Seductive Exacting Realism at Neue Neue Galerie for the duration of documenta 14. At the heart of this space is a sound program based on an interview the artist Irena Haiduk conducted on January 14, 2015 at Harvard University’s Carpenter Center, with Srdja Popovic, co-founder of the OTPOR! student group and the consultancy CANVAS (Center for Applied Non-violent Action and Strategy). Hear this in the Blind Room, beyond the Waiting Room, on the hour, every hour. Here, voices sing the prehistory of the blind, non-aligned, oral corporation: Yugoexport. She is incorporated in the United States, where corporations are people, and headquartered in Belgrade, a capital in what used to be Yugoslavia (or South Slavia if you are speaking the language of the land).